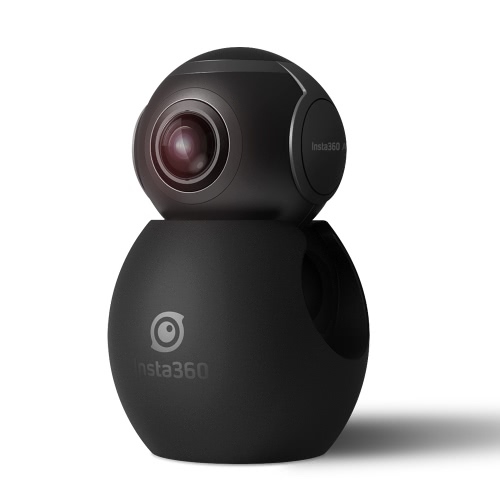 Insta360 Air designed with super mini size and cool appearance, it only weighs 26.5g. owning one Insta360 Air means putting a 360 world in your pocket! 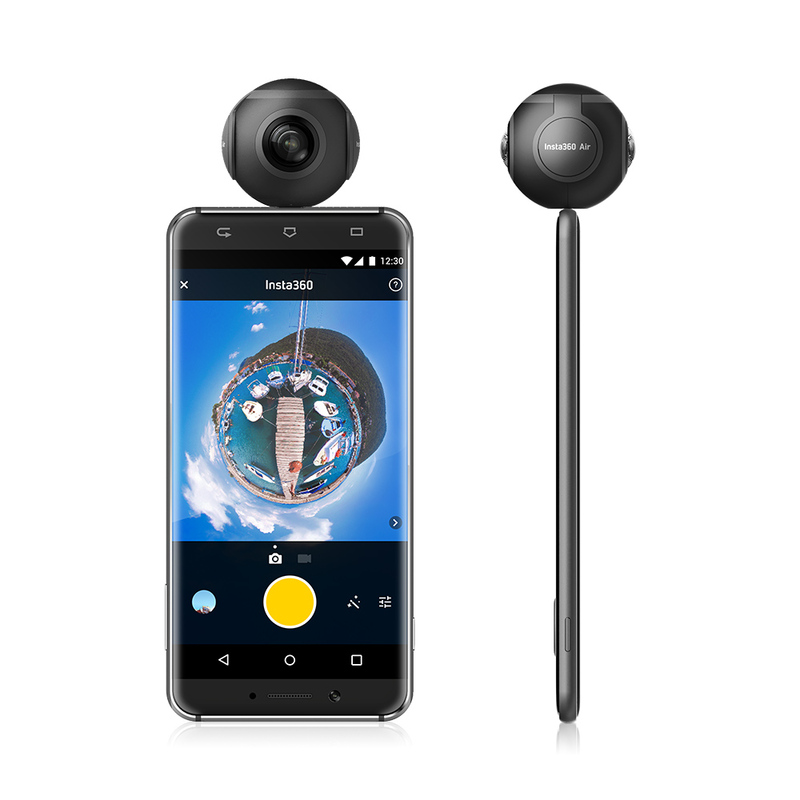 It designed with advanced 210 degree dual fish-eye lens and real-time image stitching function, can give you a total 360 degree vision. 4 view modes, it will change your way to view the world. Also it can support 3K photo and 2K(2560 * 1280) video, 3K(3008 * 1504) video for partial phones, provide you a high quality and HD viewing experience. Advanced 210 degree dual fish-eye lens, provide you a perfect surround vision, help take 360 videos and photos. 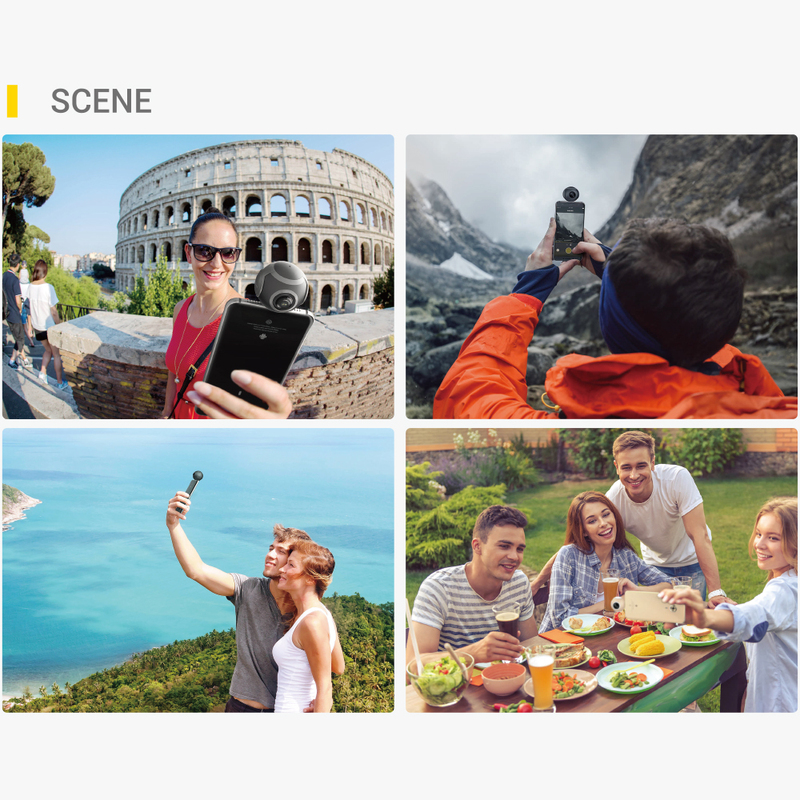 Up to 3K photo and 2K(2560 * 1280) video, 3K(3008 * 1504)video for partial phones, capture all you amazing moments. Advanced electronic image stabilization system, help shoot a clear and smooth videos. Support livestreaming on YouTube or Facebook, also can share images and videos easily with one-click uploads to Twitter, Wechat,QQ, WhatsApp and etc. Pro app provide 4 view mode(Flat/Sphere/VR/Planet), can provide VR videos. The app also support image & video editing tool, beautify your photos. 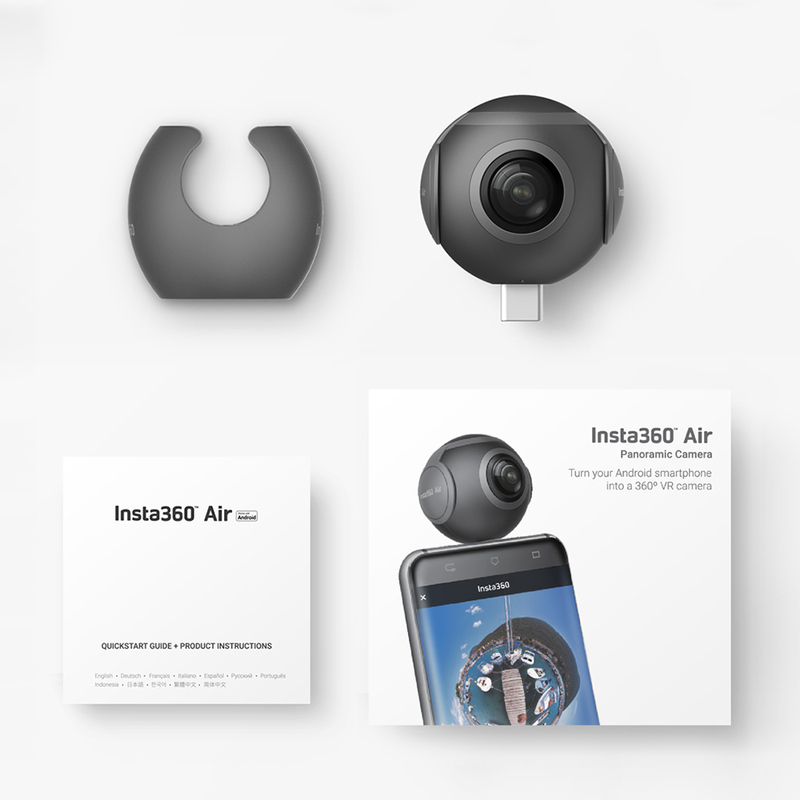 Insta360 Air also be used as a 360 webcam with multifunctional extension cable to capture 360° video or livestream for longer periods of time. 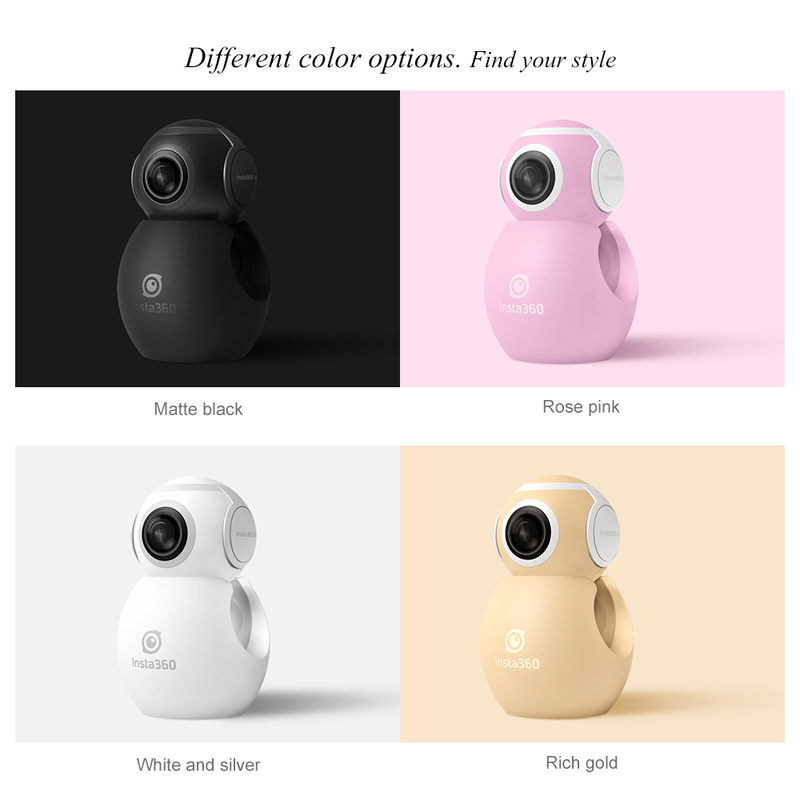 Compact size camera with cool appearance, only 26.5g, made of aluminum alloy, put a 360 world in your pocket. Micro USB port designed for Samsung S6 / Huawei GR5/ LG G4 and other Android smartphone.